I’m just starting a business for custom stationery, invitations, monogrammed prints, etc. and would use the cards to promote that business. I’d use them for my new graphic design business cards…man oh man would this be swell! I would use the business cards to get more business! 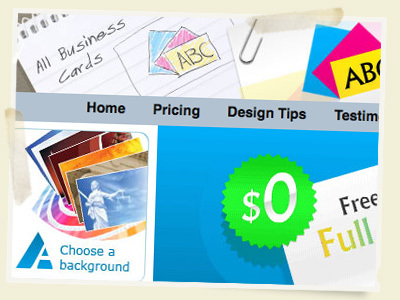 I would use these cards to start my web design business, by doing it on the side. I’m still a student but am looking to launch my website by the end of the summer. I would use the cards to help promote a new business. This would include using the cards at business gatherings, direct mailings, etc. I would use this cards as my personal presentation cards…I only have the ones They gave me at work but they are just ugly! I want something more personal for myself!!! I was out of work for 5 months and just recently got a job. Being short on cash I could really use them to get my name out there. I tend to work with kids and businesses, so they would be very handy to have. I’d use them to get more clients for my photography/design business! Or to help my boyfriend get some contracts since he lost his 3D artist job! I’d use them for my new graphic design & web development company: we just got a new office and became legal, so we need to plop that “LLC” and our new address on our cards! Sweet contest! I just bought a new batch of 500 business cards, full color two-sided… but I could always use 2,000 more! I would actually use them for my wife’s photography business.